When will be Mister Roberts next episode air date? Is Mister Roberts renewed or cancelled? Where to countdown Mister Roberts air dates? Is Mister Roberts worth watching? Military comedy that aired on NBC during the 1965-66 season and ran for 30 episodes. Mister Roberts was based on the classic 1955 film of the same name that starred Henry Fonda, James Cagney, Jack Lemmon, and William Powell. 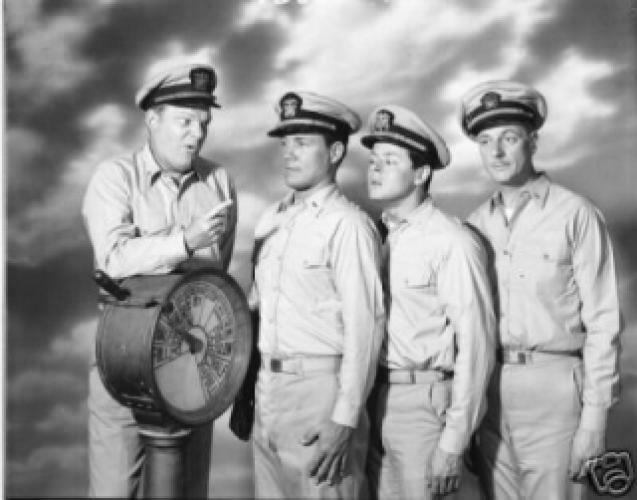 Roger Smith, Steve Harmon, Richard X. Slattery, and George Ives respectively played the lead roles in the TV series which was about life on board the U.S. Navy cargo ship Reluctant during the Pacific conflict in World War II. If the series proved one thing it was that a classic film does not always translate into a classic television series. EpisoDate.com is your TV show guide to Countdown Mister Roberts Episode Air Dates and to stay in touch with Mister Roberts next episode Air Date and your others favorite TV Shows. Add the shows you like to a "Watchlist" and let the site take it from there.